It is always inspiring for me when a client orders a cake for a friend with such passionate and meaningful intentions and it makes me want to pull out all the stops to make sure that the cake portrays the message and intent in the best possible way. 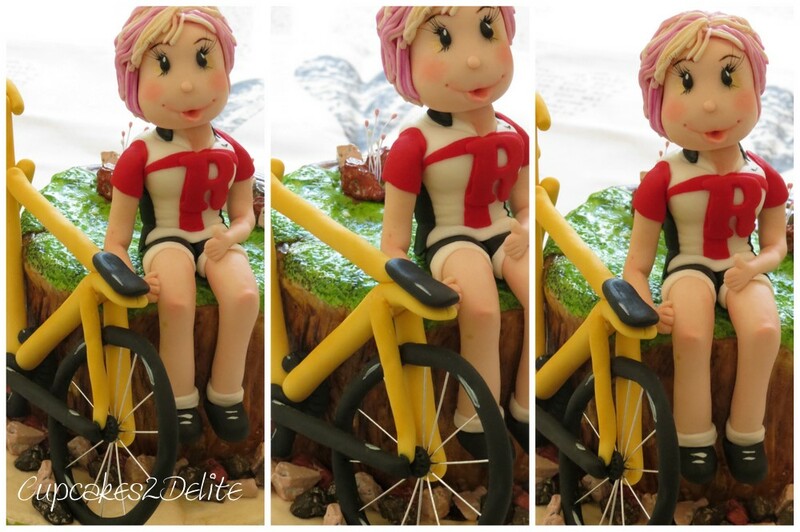 This was the case when Andrea ordered this cake for her friend, Veronica, who she told me was not only a fantastic cyclist but also a strong and determined woman. 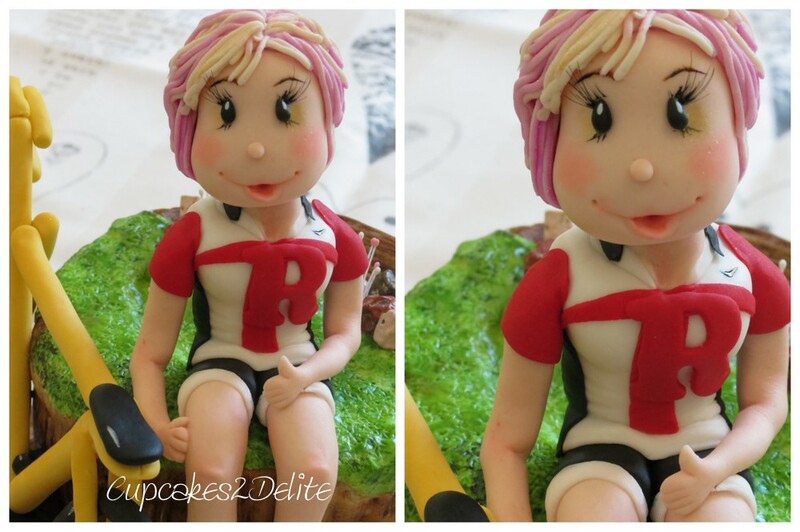 Andrea’s brief to me was that Veronica had to be on her cake along with her yellow bike and she had to have pink highlights! Thanks to photos Andrea sent me and a couple of google tutorials I managed to make a small sugar replica of Veronica’s bike and add it proudly to her alongside her sugar figurine. 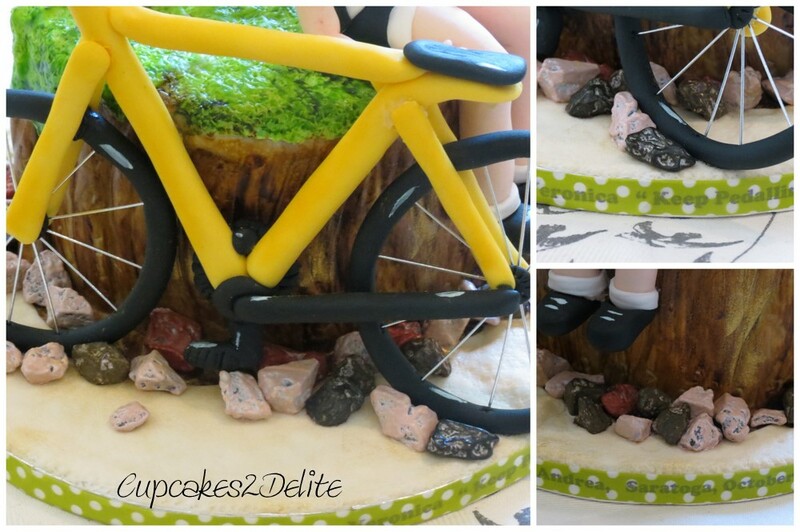 I added some chocolate ‘rocks’ for a rustic feel around the base of the tree stump that the bike is resting against and a message of good luck to Veronica from Andrea – another google learned technique of pulling printed text off of white paper using washi tape. Thank you Andrea for your order and for once again sharing your inpiring and thoughtful wishes through sugar! Thanks Wendy, she must make a really funky cyclist out on the road!